Leviton 4-Gang Midway size wallplate in brown color, features thermoset plastic construction and smooth finish. The rectangle wallplate has dimensions of 8.56-Inch x 0.255-Inch x 4.875-Inch. It has four toggle switch configuration. 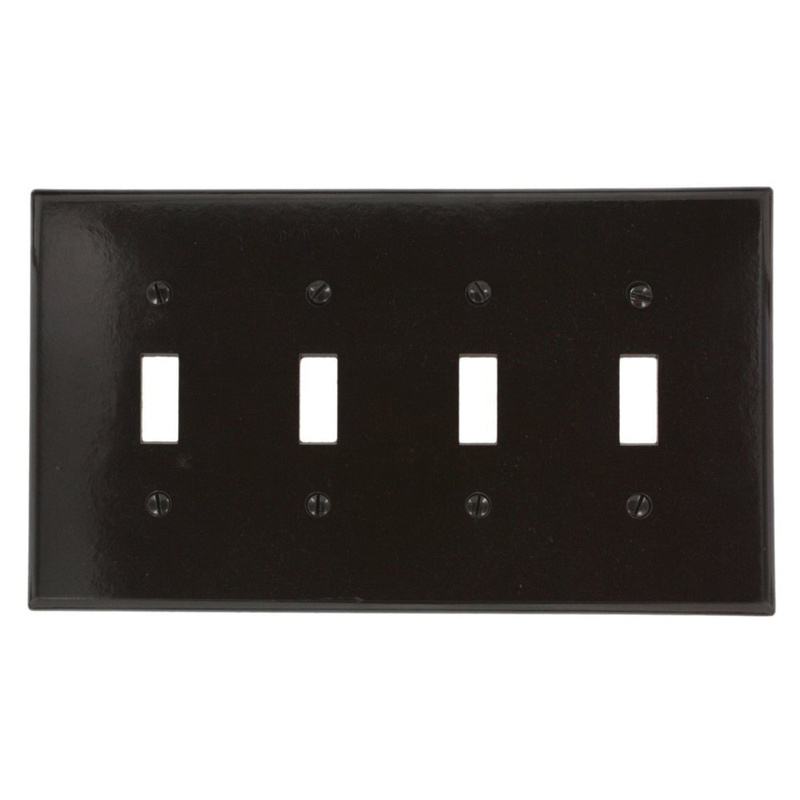 Residential-grade wallplate offers horizontal orientation and device mounting. It has cutout of size 0.406-Inch x 0.942-Inch. Wallplate is suitable for use with traditional Leviton devices. This wallplate offers excellent resistance to fading, discoloration, grease, oil, organic solvents and moisture scratches. It withstands temperature rating of -40 to 120 deg C. Wallplate is UL listed, CSA certified and meets ANSI/NEMA/WD standards.